9:45 AM – Ever since Motorola announced the flagship phone Moto X, rumor has been going around that the company was interested in announcing a low-cost alternative to the Moto X. Today, Motorola has officially announced their low-cost smartphone, the Moto G. Before we get into more detail about, the first and most important thing you should know about the new smartphone is that it costs a shocking price of $179, off-contract. Compared to it's big brother, the Moto X costs upwards price of $579 for the 16GB version and $629 for the 32GB version off-contract. The Moto G features a 4.5-inch display with a 720p resolution (720 by 1280 pixels), a 1.2 GHz Snapdragon 400 quad-core processor, 8GB of storage, 1 GB RAM and a 5-megapixel rear camera. Additionally, the device has Bluetooth 4.0 and Wi-fi, but has no NFC and no attachment (initially) to 4G LTE. 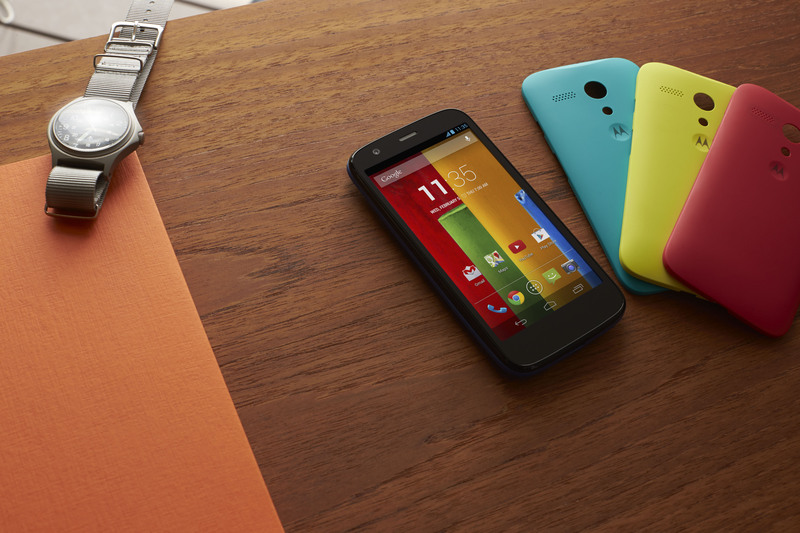 There's also possibility that the Moto G might not be carried by the four major carriers in USA, initially. It comes with Android 4.3 Jelly Bean initially, but the company states it will release an update to Android 4.4 KitKat in January 2014. The smartphone also features different color by giving us the option to swap the back cover of the Moto G with a new one of a different color. The seven colors are: white, black, dark blue, light blue, yellow, red, and pink. If you want to make more changes to your Moto G, bumpers and flip covers are also available for change. Now your last concern is what about battery life? 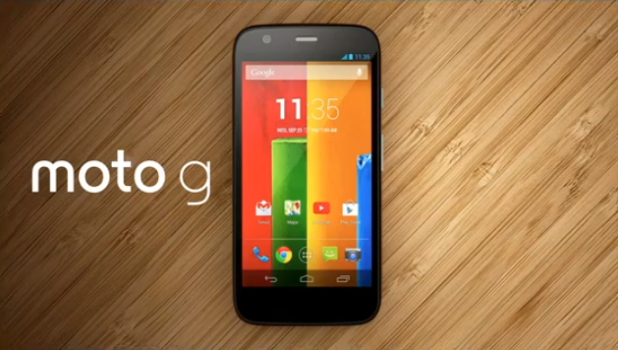 The Moto G features a 2070mAh battery that Motorola claims will give you maximum 24-hours of mixed used. This is very good considering how much the phone costs. The main goal for Motorola to release this phone is to bring a good quality phone emerging markets. Apple was expected to provide a low-cost iPhone to challenge Android vendors in emerging markets, however, the Cupertino giant failed. Now Motorola is giving it a shot with the Moto G.
The phone is expected to launch in European market and Brazil initially, with rolling out to Latin America, more markets in Europe, Canada and parts of Asia. The USA, rest of Asia, India and other markets will get the phone starting January 2014. What do you think? Will you order the Moto G? Next articleGoogle begins pushing KitKat update to first round of devices. Next: Google begins pushing KitKat update to first round of devices.